Our jam is made the way jam should be – from a simple recipe packed with real fruit. At Anathoth Farm we use real, whole fruit – and because we proudly support local growers, we purchase New Zealand fruit and vegetables wherever we can. The quality of our New Zealand fruit is an advantage. Our local Central Otago apricots and plums, and our South Island berries, are amongst the best in the world. The intense NZ sunlight enables them to grow brighter in colour to produce better flavour. READ MORE about our New Zealand growers. 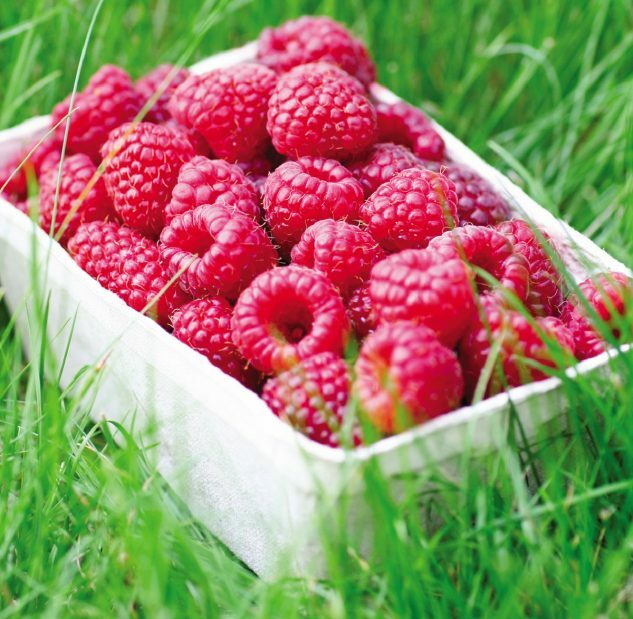 Raspberry Jam is New Zealand’s favourite jam flavour, but the New Zealand raspberry crop is much too small to meet the demands and specifications to keep up with our demand. So we source quality raspberries from Chile to make up the shortfall. We continue to work with local growers to increase and improve New Zealand raspberry volumes so that in time we hope to offer an all New Zealand raspberry jam. Watch this space as we track the growth of the crop. Making jam has traditionally been the way for preserving end of season excess fruit. In home preserving; volumes, fruit varieties and flavour differ season to season dependent on what fruit is available (or leftover). Just like hobby preservers, we too find our jam varies from season to season, batch to batch, but we work hard to ensure consistency while still striving to make our much-loved traditional soft set jam.